Thinking about Moving to Florida from NY? If you’re looking for a moving company that will help with your moving from New York to Florida, Expo Movers is your best choice. A lot of people prefer moving to Florida from NY. The main reasons are weather conditions, no state income taxes, possibilities to find low-skilled jobs, and good flight connections to Europe and Latin America. If you want to escape Northern winters, Florida is a perfect destination. Here you will find amazing sandy beaches with palm trees and a lot of sunshine. 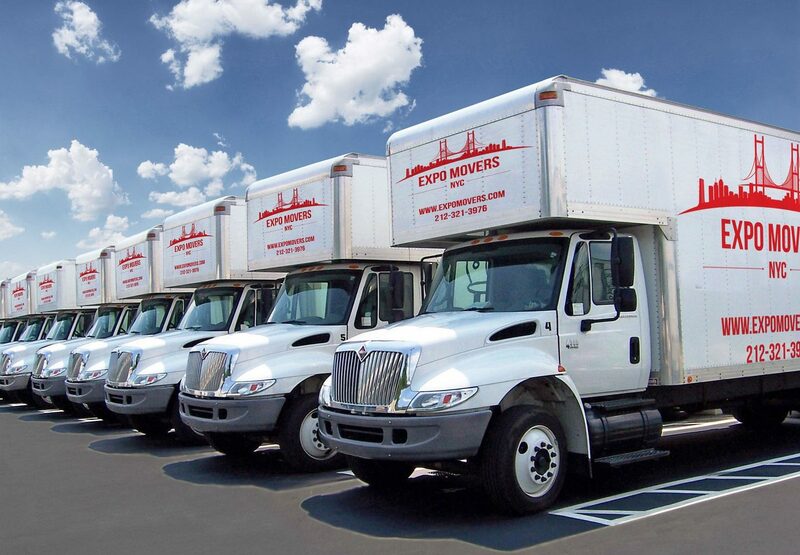 Expo Movers Moving and Storage have a lot of experience in organizing long-distance moves to Florida. We will complete your move within 10 business days. You can be sure that we’ll handle your belongings with care and they will arrive safe and intact. A consolidated move. The average cost of a consolidated move is lower than the cost of an exclusive move because your things will be sharing a truck with the belongings of other people. Depending on the location of your home, the delivery time is within 10 working days. An exclusive move. 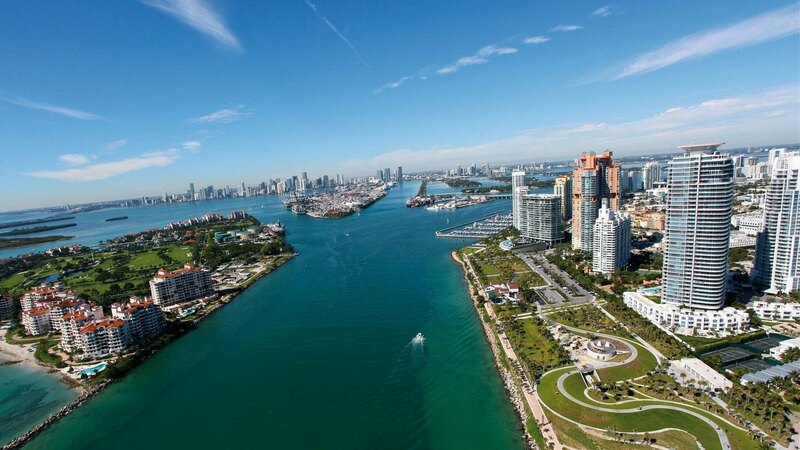 If you need to move to South Florida or another part of the state urgently, an exclusive move is your best option. The move includes picking up your things at your home in NY and relocating them to your new destination. Our moving company will allocate a truck only for the transportation of your things. This way your goods will be delivered faster. This option is a bit more expensive than the previous one. With our company, your move will be stress-free. Our long-distance movers from NY to Florida will do everything possible to make this transition easy for all customers. We understand your needs and you can be sure that your things will safely arrive at your new home whatever state it is. We will carefully pack and secure your household items making sure they are delivered intact. Our company will help you organize every step of your move. We will prepare an efficient plan and promptly execute it. With our estimator calculator, we will accurately estimate the cost of your move for free. We also offer many other additional services, which you can purchase if you wish. In some cases, you may need storage facilities, especially if you pick a consolidated moving option. We can provide you with safe and climate-controlled storage facilities where your things will be secure for as long or as short as you need. When you’re making a decision to live in Florida, it is important to thoroughly plan for your long-distance move. Florida is the third largest state by population. This is a very popular destination for vacationers and those who want to relocate. There are 663 miles of sandy beaches in the state so no wonder this place is popular. If you’re wondering how many New Yorkers move to Florida, you may be surprised to know that last year more than 537,000 people moved to Florida and about a tenth of them came from New York. There are 282 cities to choose from when relocating to Florida, so it may be a bit difficult to figure out where to live. Here is some useful information on the five most affordable cities to live in Florida. The population of Orlando is 270,934. The median home price is $157,600. If you’re not ready for huge numbers of tourists, this place is not for you. However, the city is not only about theme parks. There are 25 universities and colleges, a lot of outdoor activities, and high-quality healthcare. The population of Cape Coral is 175,229. The median home price is $201,600. There are 400 miles of canals in Cape Coral, more than any other city in the world. There are a lot of fishing and boating activities as well as some of the best places for various indoor and outdoor recreational activities. The population of Palm Coast is 82,893. The median home price is $185,300. If you’re looking for a relaxing city, Palm City is for you. Here you will find scenic views and can enjoy ocean breezes. Being located on the upper east coast, it is not prone to hurricanes. The population of Gainesville is 130,128. The median home price is $155,100. Gainesville has rich areas of trees, which makes the city green. The University of Florida is located here. This is a student city with many restaurants, bars, and theaters. The population of Kissimmee is 69,152. The median home price is $146,800. Kissimmee can offer a lot of entertainment options and outdoor recreation possibilities. It has some of the most affordable houses. If you’re without a job, you can find many job opportunities in Kissimmee. When moving long-distance, you need to pay extra attention to the planning process. Start preparing at least 8 weeks before the final day. You won’t be able to make several trips like when moving locally. That is why it is important to make sure that everything is prepared smoothly from the very beginning. Make a checklist of all the things you need to do. Find a reliable company that will help you plan your relocation. Start packing the things you’re planning to bring with you. The cheapest way to move long-distance is to organize a do-it-yourself move. Of course, there are some pros and cons to that. One of the pros is that you will be able to save money. But, on the other hand, lacking moving experience can result in unpleasant consequences, among which broken or damaged household items and furniture, as well as stretched muscles and bad mood. If you still decide to prepare a do-it-yourself move, make sure to buy some durable boxes and other packing materials. If you want to protect your things as best as you can, choosing the right packing materials is one of the main things. When using the services of professional moving companies, you don’t need to worry about packing because everything is taken care of by the company. When packing, think about how much you can move as well as what you absolutely want to bring and what you can get rid of. The lighter you load the better. When moving out of state, it is important to be extra organized. Take pictures of the things you’re bringing with you. Label the boxes, writing the contents of the box on each of them. Dismantle the furniture and pack the details in separate boxes or bags. Relocating to another city is much more difficult because you need to consider many nuances for its successful implementation. It is not easy to deal with it, especially if you don’t have the necessary knowledge, experience, and specialized tools. Thus, if you decide to move upstate, you should hire professional movers. Special attention is paid to packing and fixing your possessions in the moving truck. When transporting furniture to another city, it is important to mark all the parts and components in order to simplify the subsequent assembly. In order for the move to be made on time, it is necessary to take a responsible approach to the compilation of the route. In this case, your things will not get stuck in traffic and won’t get damaged. Employees of our company have a rich practical experience in the organization of long-distance moves, which means that your things will reach their destination intact. The prices for moving from New York to Florida can be different. It all depends on different factors. Thanks to the fact that we use only our own vehicles, we managed to minimize the cost of our services. Therefore, you are guaranteed to save your money when relocating to Florida with us. Unlike other companies that tell only an approximate cost of the move, you will be assigned a personal manager who will do the estimate and tell you the exact cost of your relocation. The manager will carefully listen to your recommendations, answer your questions, and give you advice on the best option for you. When using our services, you don’t need to wonder how much it would cost you to transport all your things to Florida. We don’t have any hidden charges. Our company will help you relocate your apartment professionally, efficiently, and at the highest level. Our movers will pack and move furniture, utensils, household appliances, and other items. We use only high-quality packing materials. We will transport your things in our own vehicle. To ensure safe transportation, the cargo is fixed in the truck with special straps and other means. Thanks to the good preparation, relocating to Florida takes a little time. At your new address, our experts will help you assemble furniture and place where it belongs. We will help you change your address, find the DMV, register your car, update your license, and do other things when moving to a new state. Our specialists will perform the whole complex of works, which will save you time and energy. With us, you don’t have to wonder how to move, we will take care of every little detail of your move. Expo Movers is the best way to move from New York to Florida.